I must confess, I’ve become a dashboard junkie! In the last six months, multiple aspects of my life have been tracked and monitored by an automated, “robo” tool. From fitness workouts and calories burned to sleep and step activity to financial investing, I have gadgets aplenty tracking a plethora of performance and personal progress statistics. Last month I joined Koko FitClub, a digital gym and have been religiously wearing my Fitbit to capture my steps, stairs climbed, and sleep activity. 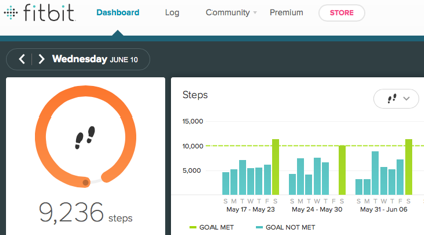 The Koko experience has been positive and it seems I’m becoming addicted to the online dashboards. I enjoy the SmartTraining aspect of having my workout plans preloaded in a thumb drive and the visual display of each exercise and rep count on the floating screen in front of me. After each workout, I run home to check out the website to review my numbers and progress. I’m like a little kid who wants to see the grades on her report card at school. One meaning for the word koko in Japanese is “individually” and that is what this type of fitness program gives you- help and guidance from an intelligent machine with minimal human interaction. I’ve watched this trend toward more personalized and internally focused electronics, apps and interfaces over the past fifteen years starting with iTunes, the iPod and the iPhone and moving on to Google Glass, the iPad, the Fitbit and now the Apple Watch. It seems that more and more we humans want our experiences with the world to be custom tailored to our exact needs and desires. Awareness and Accountability- both are increased. Motivation. I respond well to the visual achievement of goals. Charts and graphs excite me. Encouragement and recognition on meeting objectives. Fitbit is very good at this. The Economist magazine recently published an interesting article entitled “Ask the Algorithm” which highlighted the recent trends in automated wealth management tools and the rise of the “robo-advisers”. 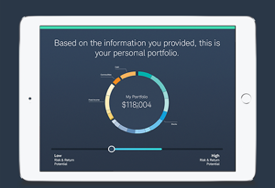 There a donut charts aplenty on the dashboards of these new applications. So welcome to the machine ( one of my favorite Pink Floyd songs) and kick back and enjoy the lovely and colorful dashboards!